Imagine your backyard transformed into your favorite resort getaway. Think of the time well spent with family and friends, the food, libations, and fun. It’s no surprise that Alfresco can make your imagination a reality – after all, we’ve built equipment for many of the nation’s finest hotels and restaurants. Through constant innovation, we strive to bring the professional culinary experience to the outdoors. 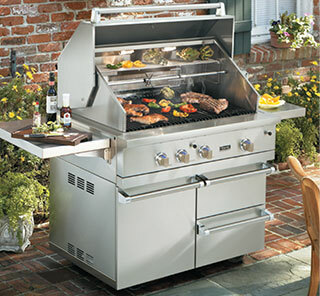 Refrigerate, prep, cook, serve and entertain with panache and style all with an Alfresco open air culinary system. 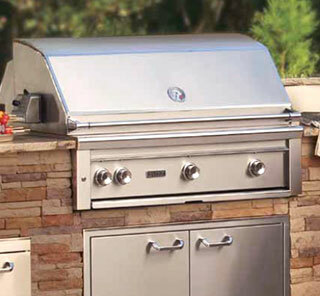 The Grillfather.com specializes in specific brands it sells and continues to support them by offering ample stocking of factory replacement parts that stand the test of time, allowing prolonged enjoyment of your BBQ Grill. TheGrillFather.com custom wraps and packs its Grill orders for safe shipping. Sign up to receive our famous recipes & grilling tips. Your email is private and safe with us. We can offer discounts on custom packages for some brands.